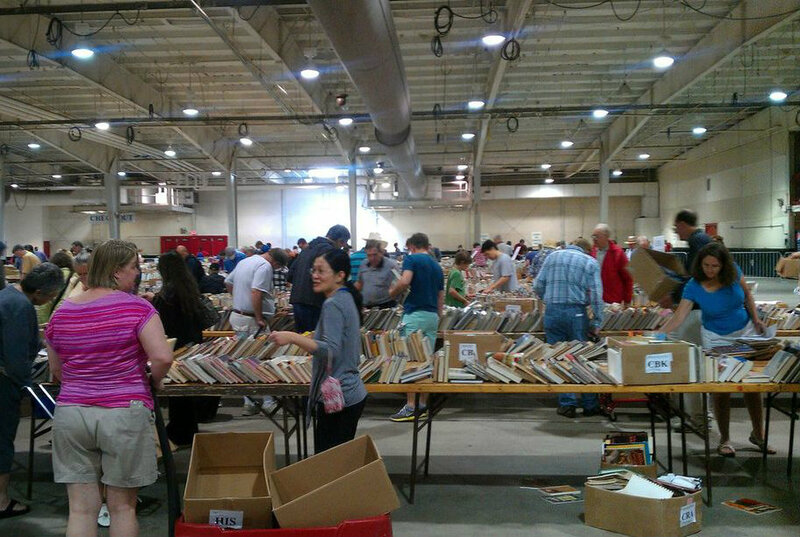 Every year, Wake County Public Libraries has this book sale that's. . .massive. 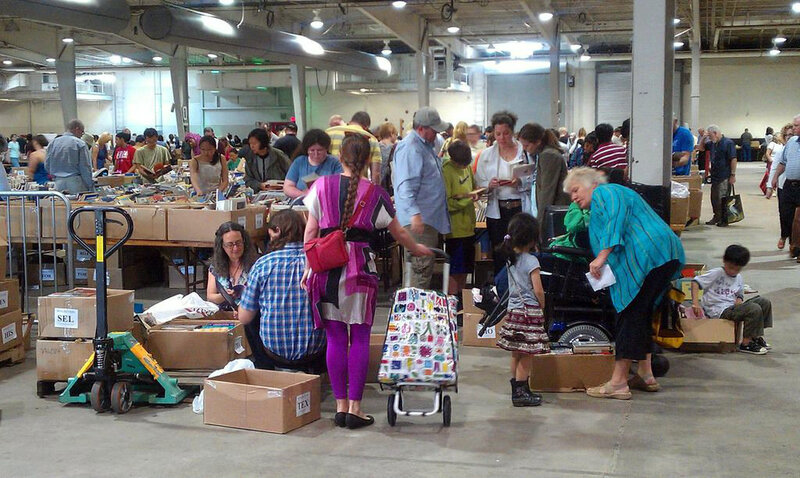 Millions of books, both old library books and books people have donated, go to this sale, and hundreds of thousands of people attend. It always runs from Thursday to Sunday, but I only go on Saturday and Sunday of the sale. Saturday, hardback books are $2 and paperback books are $1. 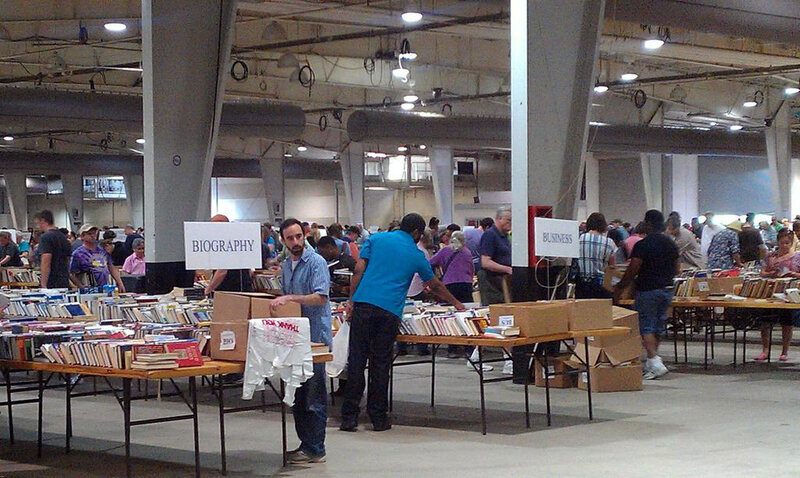 On Sunday, though, you can get a grocery bag full of books for $2 and a box of books for $5. Needless to say, Sunday is when it gets a little crazy. The perspective isn't great, but here's the line to get in the door. This was after they'd let about 200 people in. 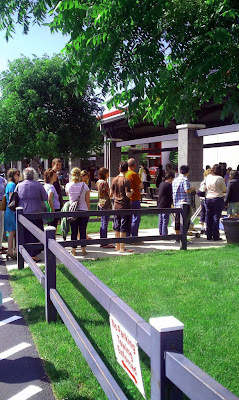 For point of reference, once we got to the end of the fence, we turned right until we got to that shelter held up by the pillars, and then, if you can see beyond the tall guy's head and the tree behind him, that was the building the sale was in. 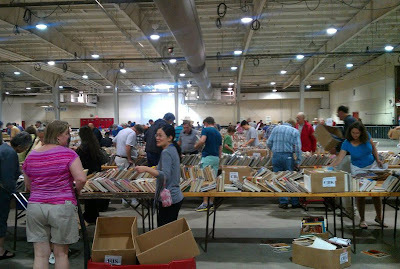 Cheap books for the entirety of the county and beyond? Yeah. It was insane. Between the two of us, Dennis and I filled 3 boxes of books. 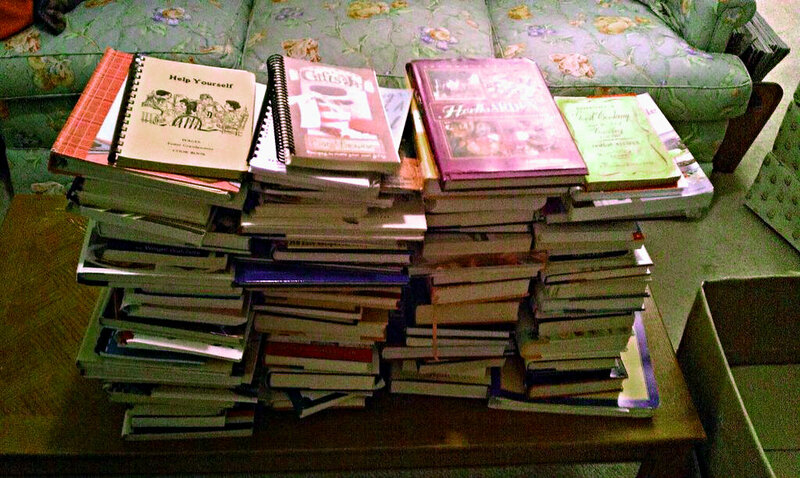 His were mostly business-related, and mine were mostly cookbooks. 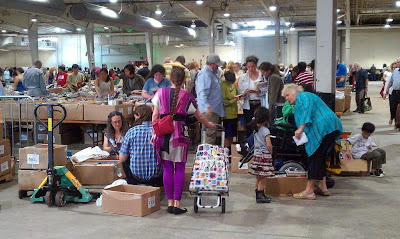 What I've discovered about this sale is that it's flush with those little cookbooks that churches put together, which is a sub-collection in my cookbook collection. Some people might call that an addiction. I call it 'blog security.' 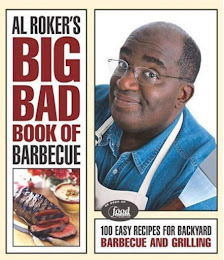 At some point soon, so I can get into all my church cookbooks, I'm going to dedicate a week to them, using a few different ones.